That's the longest ever that I did not get any chance to update my blog. Don't worry, I am back now. I was indeed extremely busy running shift for my RM12 mln project going live. Fortunately, all these were a success with my wonderful team's help. 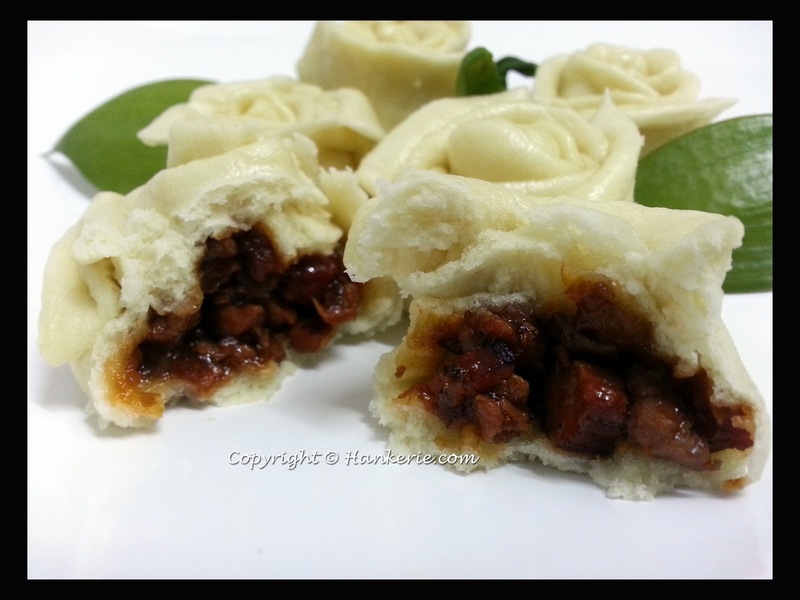 Special of today's recipe is the oriental series - steamed rose buns with char siew filling. 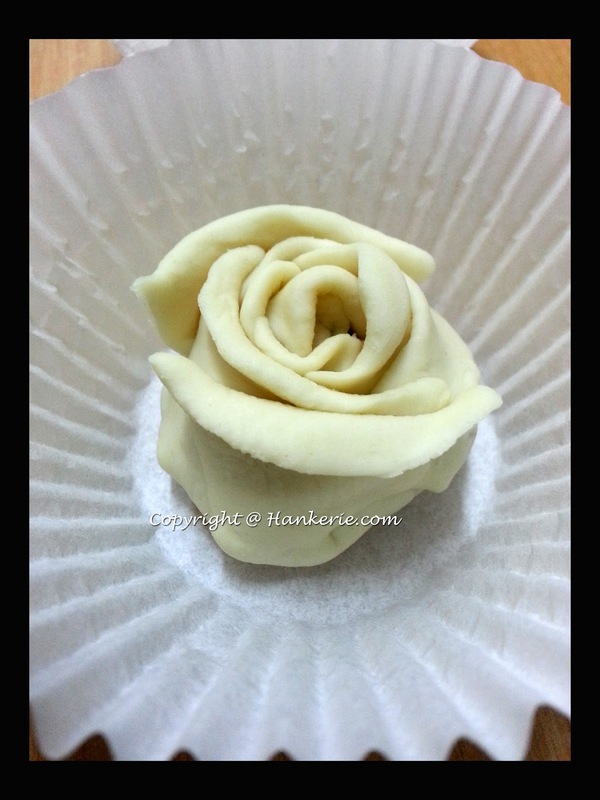 Pertaining on the shape, the idea came from my fondant icing roses. I was wondering why the steamed bun shape always in round shape and with plead on top, too conventional and not too attractive. Therefore, I made them into roses shape. In fact, the result turns good. Nice to see and nice to eat. Food for your eyes. 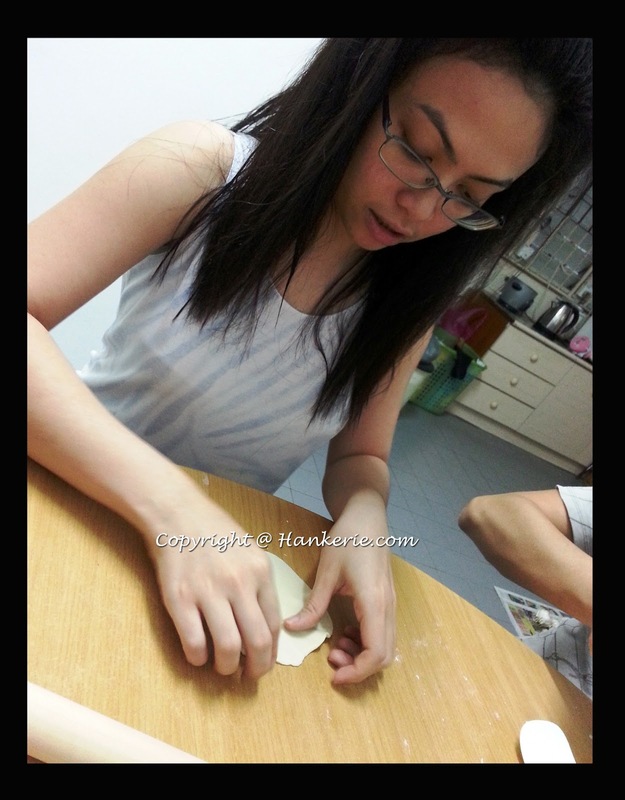 I am so into making the bun to rose shape, without realizing my husband took this photo. In the same time, heat up the frying pan with olive oil. Stir fried the char siew and add on all the sauces in the ingredient above. Set aside and let it cool down. Split evenly for the char siew filling. Set aside. Fill well with lukewarm water and yeast. Add on vinegar. Use a spatula, gently stir the water to dissolve the yeast then slowly bring together flour mixture. Add in butter and knead for 10-15 minutes until soft dough is formed. Dissolve baking powder in cold water, sprinkle over dough and knead until well combined. Divide dough into 16 equal portions and flatten with a rolling pin to make a 3” circle. Cut 3 line at the edges of the circles like flower petal. 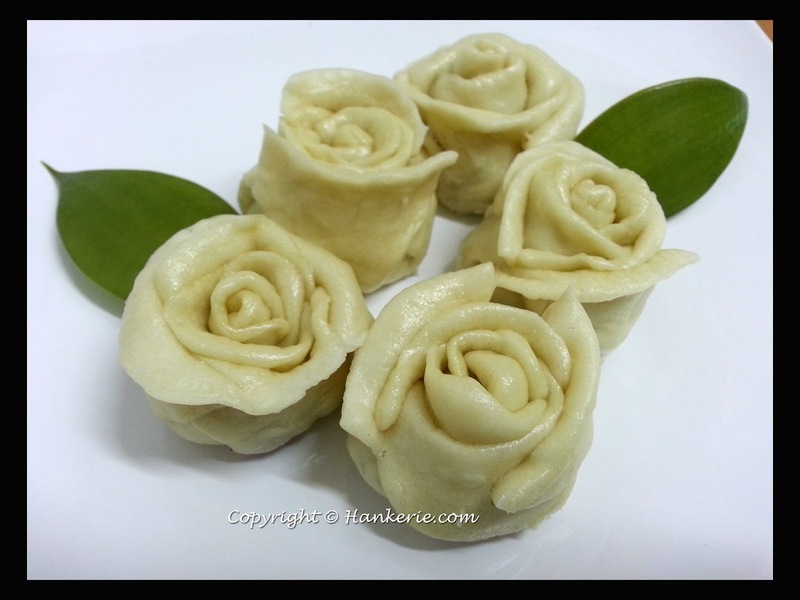 Then place a char siew filling in the middle, wrap alternate petal and stick the dough to seal into rose shape. Place it on a 1.5” square parchment paper/cupcake paper, seal side up. I am submitting this Steamed Rose Buns to Aspiring Bakers #31: Bao Ho-Chiak 包好吃 (May 2013) hosted by Miss B of Everybody Eats Well in Flanders.